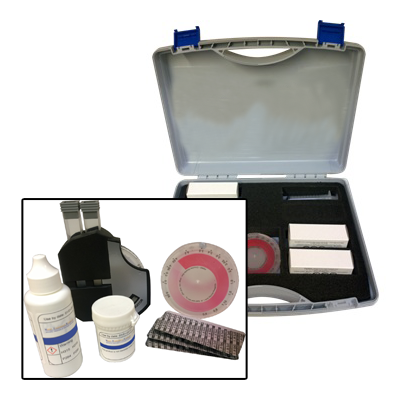 A comparator test kit that can be used to measure ammonia in system waters. Ammonia can indicate bacterial presence in closed systems. High concentrations of ammonia can corrode Copper/Copper alloys.